While I was working on my computer this afternoon, my granddaughter, Ashley (who is now living with us to attend a year of bible school in the city), came into my home office to chat and visit with me. I was delighted when she asked if she could look through some of my photo boxes of vintage ephemera! Ashley made herself comfortable on the floor and searched through four photo boxes of antique postcards and a variety of other old paper treasures. She said she felt like she had discovered a time capsule and she found many favorites! She had a great time and I was thrilled that she did! 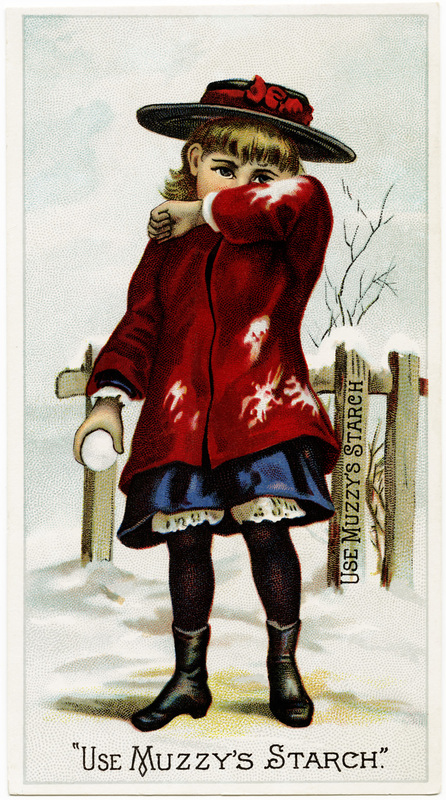 Ashley suggested I scan this card for you next. 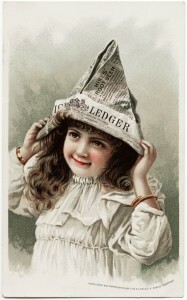 The front of the card features an illustration of a Victorian girl wearing a white dress and a newspaper hat. The back of the card includes a poem titled, What Came From the Newspaper Hat. 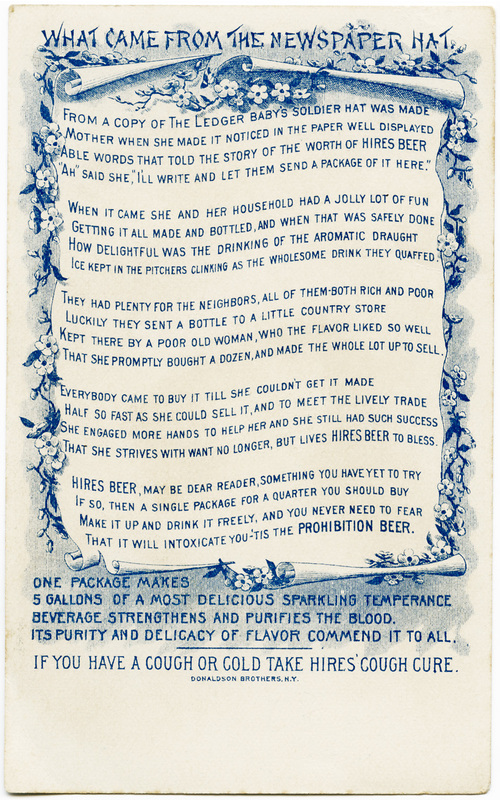 The poem is advertising for Hires Beer. Click on images to enlarge. Thank you so much for the beautiful images. They are all lovely! Wow! 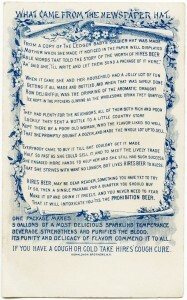 This is for Hires Root Beer. Really cool. Thank you so much for sharing this adorable print!! A new favorite for me! You’re welcome Karen. I’m glad you like the image!